As you know, the ghost of Marv Alpert's breakfast once gave me the solemn task of making weird air-cooled VWs known to a wide audience, and that's what I'm doing. This time, the car is VW's first (non-military) four-door car: the VW 1600 sedan, also known as, duh-duh-dunnn, Coffin Joe. Coffin Joe is an evil, amoral character who considers himself superior to others and exploits them to suit his purposes. He hates morality and superstition (which he includes religion as) to the point of obsession. His central belief is that (self) imposed superstitious beliefs tend to prevent individual development, inhibit positive social change. Those who do not accept his central belief are considered to be weak, lack power, and limited in their ability to rationalize objectively. Those who share with him similar beliefs are considered to have power and intelligence above the 'normal' person. Yikes. He also has long, curling fingernails, and may be the horror movie character you'd least like to be sat next to on an airplane, because at least Freddy Kreuger or Jason (hockey mask, not me) are probably more fun to talk to than some somber horndog in a top hat who thinks he's better than you. The VW seems to have gotten the nickname because the second Coffin Joe movie, This Night I'll Possess Your Corpse and the VW 1600 came out around the same time, and the squared-off look of the VW seemed to remind people of a coffin. Beyond that, it's not clear, since there's no records of a superior-feeling VW 1600 trying to kill anyone or mate with a Dodge Polara. The car itself came to be when VW Brazil, having a great deal of success with the Fusca (Beetle) and Type II vans, buses, and trucks, saw a need for a larger, more upmarket, mid-sized four door. This realization came from increased competition from the Brazilian Ford-Willys partnership and the Renault-Rambler team, which were both offering four-door cars that VW wasn't. 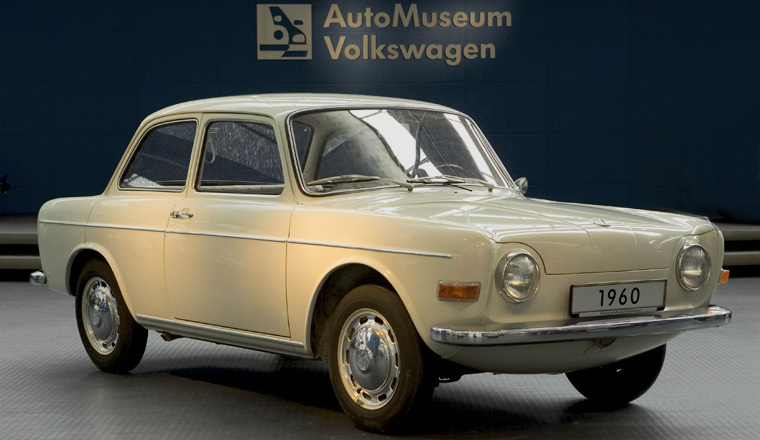 VW's Brazilian design team made the VW 1600 by taking the chassis design from the German Type III and using the Beetle's upright-fan engine instead of the Type III's flat engine. The body design was all Brazilian, fairly crisp and handsome, with then-unique big, rectangular headlights and VW's first four-door, three-box design. The choice of the upright-fan engine from the Beetle (though here with an extra 100cc, which the Beetle wouldn't get until 1971) I do find a little puzzling, as the Type III's 'pancake' engine with the fan mounted low on the crankshaft could have opened up room for a second trunk at the rear, just like VW Germany did with the Type III Notchback. Even so, the boxy design (maybe inspired by VW's EA97 prototype?) did allow for a pretty roomy trunk up front, certainly a significant step up from what you'd find in a Beetle. The interior was notably up-market, with lots of (presumably) fake wood accents and a much more conventional dash. The car actually sold reasonably well, selling nearly 25,000 copies, but for some reason two-door cars were more popular in Brazil, and taxi drivers ended up being one of the biggest markets for the VW 1600, which didn't really help its appeal to mainstream middle-class families. The VW 1600 sedan was made from 1968-1971, though the unique Brazilian Type III line kept going with the Variant wagon and TL fastback, and on into the '80s with the Type III Variant II. Still, there's just something about this Corvair/Renault 10-looking VW that's really appealing to me, even if it's sort of a forgotten footnote in its home country. Plus, those fingernails. Yeesh.